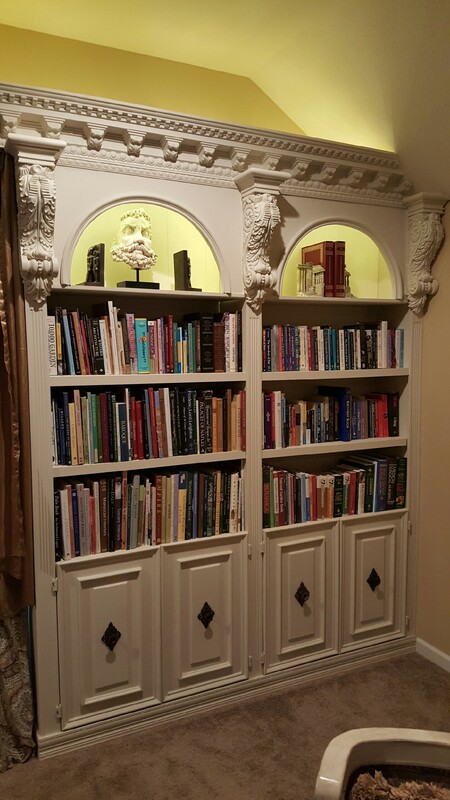 Kim and Jeff from Tennessee, sent us this great picture of their bookshelves they built using our Stockport Crown Moulding. Crown mouldings are a great way to add some definition to your rooms and with our do-it-yourself corner blocks, no miter cutting is necessary. You can have your mouldings installed within hours rather than days! Explore our wide varieties of mouldings by clicking here! 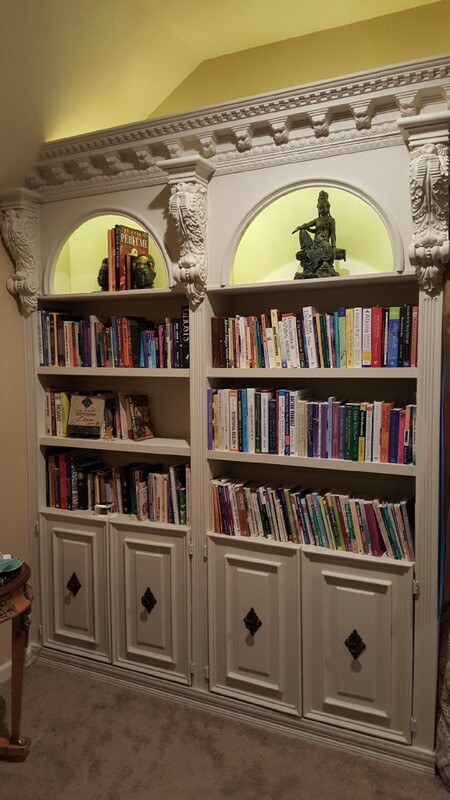 Check out the shots of Kim and Jeff’s bookshelf project below!